LOVELAND July 20, 2018 — New Vision Charter School has been selected for the 2018 Best of Loveland Award in the Charter Schools category by the Loveland Award Program. Various sources of information were gathered and analyzed to choose the winners in each category. The 2018 Loveland Award Program focuses on quality, not quantity. Winners are determined based on the information gathered both internally by the Loveland Award Program and data provided by third parties. 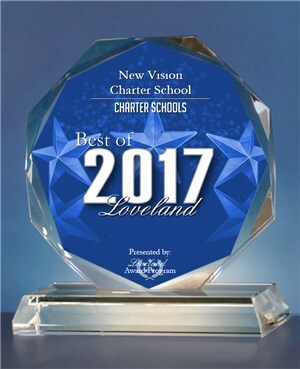 LOVELAND June 2, 2017 — New Vision Charter School has been selected for the 2017 Best of Loveland Award in the Charter Schools category by the Loveland Award Program. 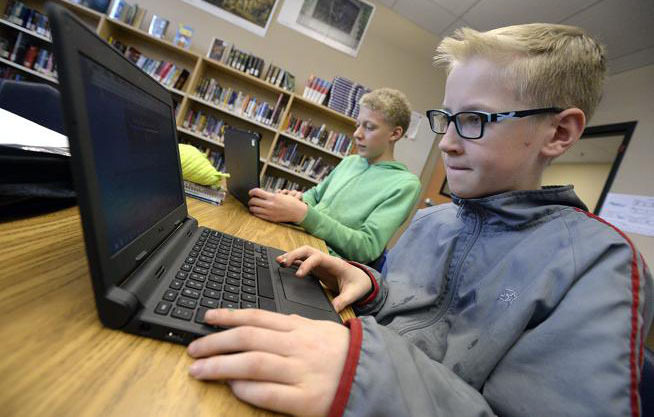 In the library at New Vision Charter School, students are mixing their imaginations with research, critical thinking and computer skills to create their own three-dimensional, interactive video games.